Global food waste is one of the most pressing issues nowadays. Either through misconceptions, prejudice or lack of awareness, bad practice has been established in individual behavior, as well as on organizational level. EU statistics show dramatic evidence of the waste culture, by tracking the numbers on a national level. Solely in Austria, 157.000 Tons of food are wasted per year. Some of this is, unfortunately, edible food. Indeed, every Austrian wastes on average 20 kg of edible food per year. This food doesn’t only represent the lack of environmental and social issues awareness, but also a significant amount of money wasted on non-consumed nutrition. Thus, an average Austrian household spends around EUR 300 per year, on food that ends up in the garbage. 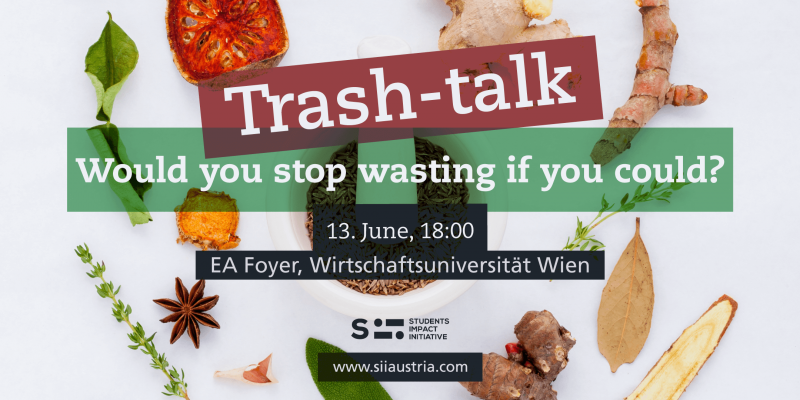 As these facts call for action, we decided to focus on this topic in our first event; TRASH TALK: Would you stop wasting if you could?, which will take place on 13th of June, at the Executive Academy.  Our desire is to spread the word and include the unincluded as well as informed students in a deeper discussion. The speakers will, together with the audience, tackle most of the subtopics, such as sources of food waste, mindset and behavior change possibilities, practical and creative solutions, as well as the amazing usage potential of unhandsome groceries. In the first section ‘’We all waste. Who is to blame?’’, Helene Pattermann, founder of Zero Waste Austria, will explain her insights on the ‘’waste industry’’ and identify major perpetrators. She will offer examples from her extensive experience as an organizer of food waste Hackatons and other pro-social projects. Subsequently, Claudia Sacher, co-founder of feld (Verein zur Nutzung von Ungenutztem) is going to talk about what means acceptable to eye of the end-consumer and what are consequences of the ‘’food beauty contest’’. From her, we will get to know more about the nutritional and taste potential of the not so pretty groceries, by not judging a carrot by its cover. Furthermore, Annemarie Miesbauer, the person behind inspirational Ein Jahr im Glas website, will tell her story of ‘’living without producing waste for a year’’. The minimalistic approach and tips and tricks regarding the waste-(de)efficiency will be told by the one who mastered the skill of breaking the pattern. In the final section, called ‘’Smart Kitchen for Students’’, Benedikt Wurth, founder of Jaus’nwrap, is going to share his view on alternative packaging. The packaging is made of beeswax wrapping paper, and has multiple benefits when it comes to preservation of food. Afterwards, the speakers will have a chance to discuss the issues and open questions with the audience in a less official setting. Finding constructive solutions for an insufficiently recognised and underestimated problem is not an easy job, but the four speakers will give their best effort and opinion. We hope to inspire and inform the audience and give an involvement opportunity to the student community. Come and see us on the 13th of June at the Executive Academy at WU.